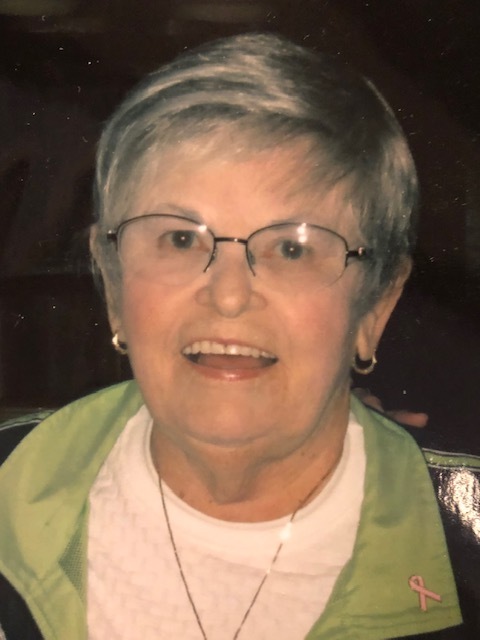 YOUNGSTOWN - Prayers will begin Tuesday at 9:15 a.m. at the Higgins-Reardon Funeral Homes, Boardman-Canfield Chapel, followed by a Mass of Christian Burial at St. Charles Borromeo Church for Margaret "Peggy" Ann Loney, 81, who died Wednesday morning at Assumption Village Nursing Home. Peggy was born Aug. 4, 1937, in Youngstown, the daughter of Edward and Margaret (McGinty) Murphy. She was a graduate of Ursuline High School and worked as a deputy clerk for Youngstown Municipal Court for many years. Peggy enjoyed baking, her "club" get togethers with her high school friends, and attending her grandchildren's sporting events. She was a member of St. Charles Church, the Ladies Auxiliary and was a former Den Mother. Peggy is survived by her husband, Thomas James Loney, whom she married July 18, 1959; five children, Mike Loney of Boardman, Teresa Loney (Mark Biroschak) of Boardman, Katie Loney of Austintown, Thomas (Colleen) Loney of North Lima and Marty (Lisa) Loney of Boardman; sister Teresa (Dave) Stryffeler of Austintown; sister-in-laws, Theresa Murphy-Riordan of Canfield and Jean Murphy of Youngstown; nine grandchildren, Joseph (Jessica) Irwin, Alex (Matt) Roth, Matthew Loney, Ryan Loney, Colin Loney, Kevin Darby, Maggie Loney, Abbey Loney and Erinn Loney; and four great-grandchildren, Hank and Nora Irwin, Owen Roth and Eli Roth, who will be arriving any day. She was preceded in death by her parents; and brothers, Francis, Robert and Edward Murphy. The family would like to especially thank Dr. Spratt and his wonderful office staff. They would also like to thank the incredible staff at Assumption Village for their care and compassion shown to Peggy and her family during her stay and final days. They have requested that material tributes take the form of donations to the Ursuline Sisters, 4250 Shields Rd. Canfield, OH 44406.